Last week I was able to spend a day visiting Lamington National Park with my friend Michael Snedic, where we found and photographed this male Satin Bowerbird. 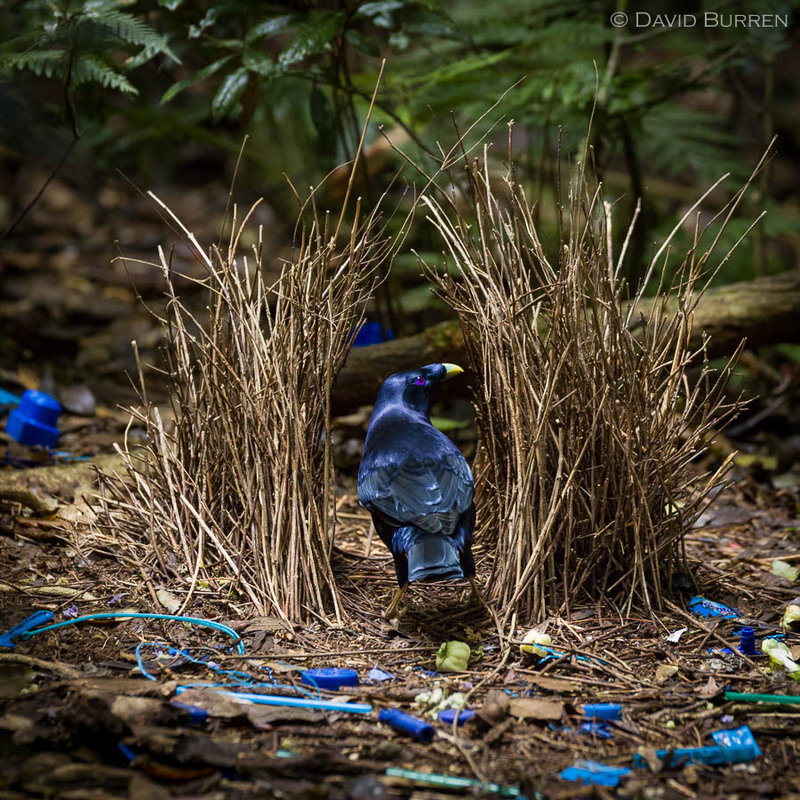 The bower was set back around 8m into the forest from where I was standing, and I was positioned with 300mm lens peering through the foliage at where this bower was faintly lit by a ray of light. The blue trinkets and yellow flowers are his favourite adornments which he uses to attract the girls. Anyone following my Instagram feed will have seen this image already. There are a few images that appear on both sites, but in general you can regard them as a mostly-different daily dose of images.